Whether you travel with to Cuba or not, you can always see and support our Humanitarian – Environmental projects in our Cuba Scuba gift shop. Enjoy your adventure while directly benefiting and supporting private citizens. 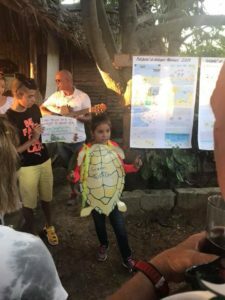 Our humanitarian – environmental projects support ecological conservation and are suitable to the development of small-scale private enterprise as our groups support local Cubans by predominantly staying and dining in privately owned businesses, where our Cuban friends quickly become your Cuban friends. 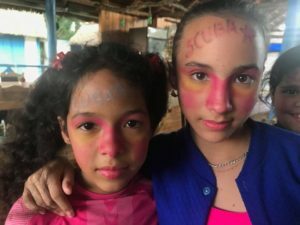 Our humanitarian trips offer far more support to the Cuban people than most organizations who usually take groups to stay in state-owned hotels. At least 1/2 of your stay is spent in private homes where you gain more authentic opportunities for true face-time to engage in meaningful discussions. with the exception with a few days in some remote areas where options are limited in nature preserves. We’ve been blessed to be able to help our beloved Cubans in unique ways. We work with local marine biologist teams & village residents and provide supplies for conservation programs. We also support local artist communities with materials, idea sharing, and conservation messaging. Groups also bring items for several humanitarian organizations and pastors like Pastor Adreano Fuentes, Pastors Rubierdo & Milagro Ajo to support community outreach to local neighborhoods – like children’s baseball ministry (bringing equipment donations), art/school supplies, dental products, reading glasses, etc. Sometimes it’s bringing useful items that are hard to find on the island. Our organization is also dedicated to raising funds for an ongoing construction building that will be a community center! peacefully travel and forge meaningful relationships in the stunning, enigmatic island of Cuba. 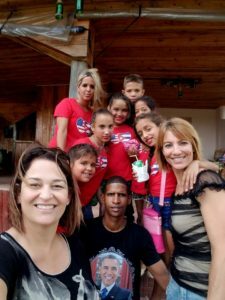 Our goal is to help you make heart felt connections so you can return home as an ambassador for the Cuban people. Our groups love to help and meet the locals who lead passionate community initiatives that are transforming lives. That’s why we advise prior to your trip, the best ways you can dive in, give back and make an impact with the Cuban people! Stay in privately owned bed and breakfasts (Historical mansions) all located in the upscale neighborhood – within walking distance of each other and local cultural sites. Experience first hand how you’re empowering budding private entrepreneurs, like Jorge, Orlando, Myrna & Alex. Learn their stories, dreams and build new friendships. Each room has a private bathroom, air-conditioning, and clean, comfortable amenities.